THE stalled negotiations between the Federal Government and the nation's largest and most populous states, over funding the National Disability Insurance Scheme, was foreshadowed more than a year ago. In a May 2011, submission to a Productivity Commission inquiry into disability services, a precursor to the NDIS proposal, from advisory firm KPMG predicted outcomes from the negotiations on the NDIS was "highly uncertain". The submission said the dependence on the two levels of government agreeing on any funding arrangement in a Council of Australian Governments was unlikely. "We put forward that this strategy is highly uncertain as it relies on agreement between the Federal Government and the states," the submission reads. Accusations of deserting the nation's disabled community were rife since the COAG meeting on Wednesday. While the smaller Labor states of South Australia, Tasmania and the Australian Capital Territory put forward about $40 million each to secure trial funding, Liberal governments in other states have claimed budgetary constraints prevent them from contributing to the scheme, which the Federal Government has been using to score political points in the past two days. But submissions from each state and territory, except the Northern Territory, to the Productivity Commission as early as May last year reveal most state positions on funding arrangements have not changed. A submission from the Queensland's former Bligh Government revealed it did not believe the states had enough tax revenue to fund the scheme, even if it changed the state's taxes. The other two biggest states, by population and size, Western Australian and NSW also wrote that their states did not have enough revenue to fund the vast majority of the scheme. "While only the Commonwealth has the financial capacity to fund the significant expansion proposed in the draft report and options for Commonwealth funding are a Commonwealth matter, Western Australia does not support funding options that involve a reduction in State taxation or hypothecation of Goods and Services Tax revenue." 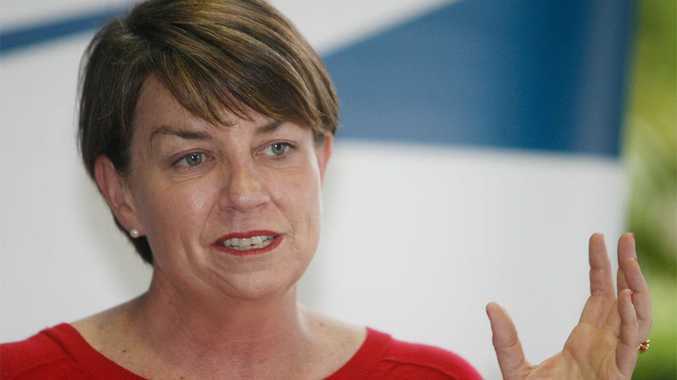 The NSW Government also proposed a Medicare-style levy, which Queensland Premier Campbell Newman also agrees with, as an appropriate mechanism to fund the scheme. While the Victorian government did not rule out contributing to the scheme, it did admit "a key issue will be how the expanded support will be funded and how Commonwealth and state responsibilities will lie in the new system". A similar tack was taken by the Tasmanian Government, saying a social insurance model (that could include a levy) had merit; the national scheme would have the "greatest chance of success if funded and operated by the Commonwealth". South Australia was the only state that substantially changed its position on the funding arrangements. A September 2010 submission to the inquiry from that state said the state and territory government did not have sufficient revenue raising options to support the scheme, and any additional funding should be the responsibility of the Commonwealth. But by May 2011, the South Australian Government softening its approach, saying any funding arrangements was for each jurisdiction to decide, and would "be a matter for negotiation with the Commonwealth".